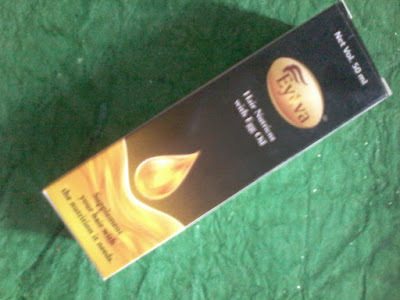 Today I am going to review a new product , its Eyova Hair Nutrient With Egg Oil . Its a new type of hair oil with goodness of egg oil and canola oil . It contains various biological actives which help to keep hair disorders at bay . Its an Organic and natural product and does not contains chemicals. 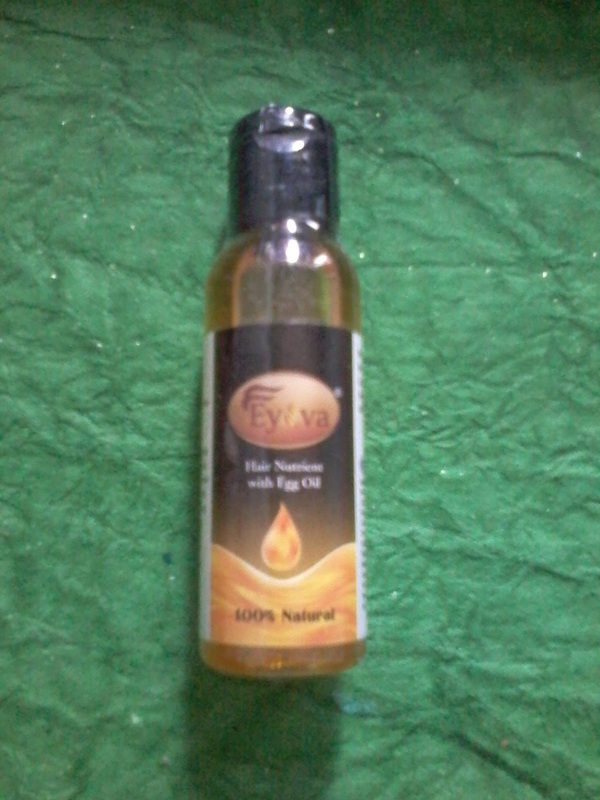 We all know that egg is good for hair but applying egg mask on hair is bit messy and it smells bad so one can use this egg oil as a substitute for egg mask as it contains all the goodness of an egg mask along with canola oil . The product claims to treat damaged hair , promote hair growth , prevent hair loss and add shine and luster to hair . 4.Improves hair shine and luster . The product comes in a small plastic container from which it can be easily taken out and applied on scalp and hair . So product packaging is good. Shelf Life — 2 years from date of manufacture . 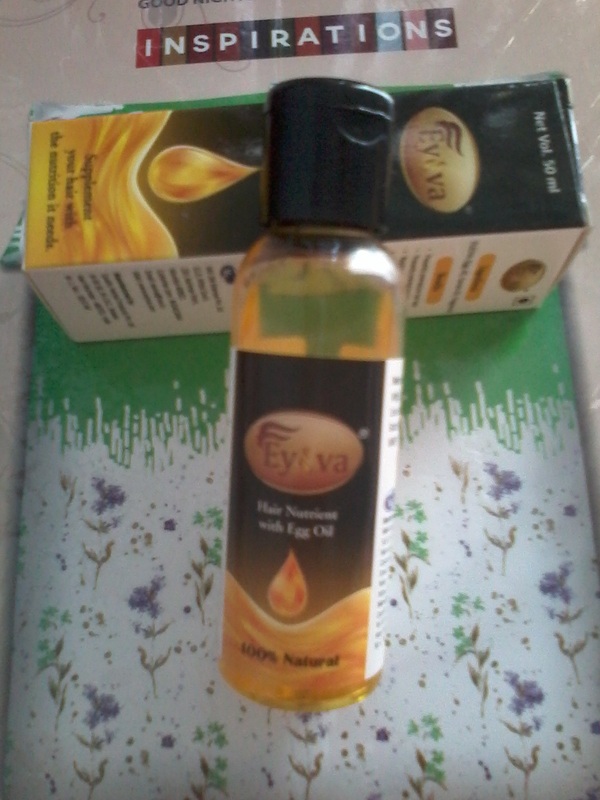 The oil has a thick texture and is yellow in colour . It contains EFA( Essential fatty acids ) which improves blood circulation and stimulates hair growth . It also contains Immunoglobulins which fight inflammations and regenerate hair follicle . Contains cholesterol which has deep conditioning effect . One needs to massage this oil on scalp for some time and leave it on scalp and hair for at least three hours or overnight and then wash it off with a mild shampoo . It should be used twice a week . I am using this product past few weeks and I really liked it . Although it does not smell too good but its an effective product , it does what it claims . I found a difference after using it for the first time only . And after using it for few weeks I have noticed some good changes in my hair texture . My hair looks and feel more soft and silky now . 1.Makes the hair soft and silky . 2.Regular usage improves hair texture . 3.Easy to use as its just like any hair oil . 5.Prevents hair fall and premature greying of hair . 6.Since an organic product does not contains harsh chemicals. Since I am getting few questions on its fragrance , I would like to tell that the product does not smells exactly like egg but its smell is not too pleasant and the smell stays till the product is on hair , once washed it goes off .